This Smart promo is just in time as we are going to travel this coming November to Shen Zhen, China and Taiwan. We will need some reliable internet connection to help us cover these trips and document them. On a hunt for the best travel deals? 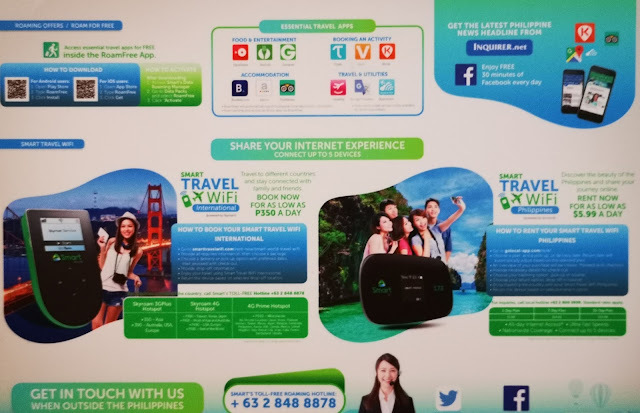 Mark your calendar as Smart Communications, Inc. (Smart) holds the first ever Smart Travel Sale Fair at the World Trade Center in Pasay City on Oct. 12 to 14, 2018. A huge travel extravaganza, the Smart Travel Sale Fair brings together major airlines and over 100 agencies and booking partners to offer exciting deals perfect for your holiday getaways and bucket list destinations. At the event, Smart is set to introduce its groundbreaking pre-booking feature for data roaming packages - a first in the country. This unique feature will allow customers to conveniently buy their data roaming services ahead of their trip, so they won't have to worry about staying connect online while traveling and exploring the world. As a big treat, customers pre-booking at Smart's themed booth at the event will get 50 percent discount on Smart’s data roaming products. All Smart customers can also enjoy 50 percent discount on the Php100 entrance fee by simply presenting a special text message from Smart before paying at the ticket counters. 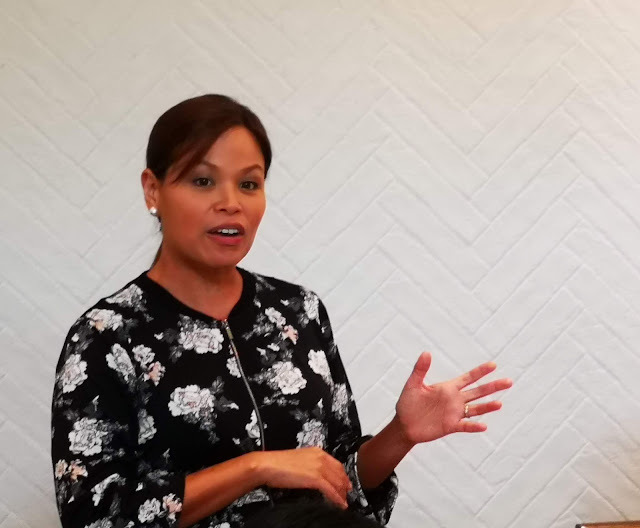 “The first ever Smart Travel Sale Fair is a huge celebration of the Filipinos’ growing passion for exploring the world and sharing all these memorable travel experiences with loved ones,” said Kat Luna-Abelarde, FVP and Group Head of International Roaming & Carrier Business for PLDT and Smart. 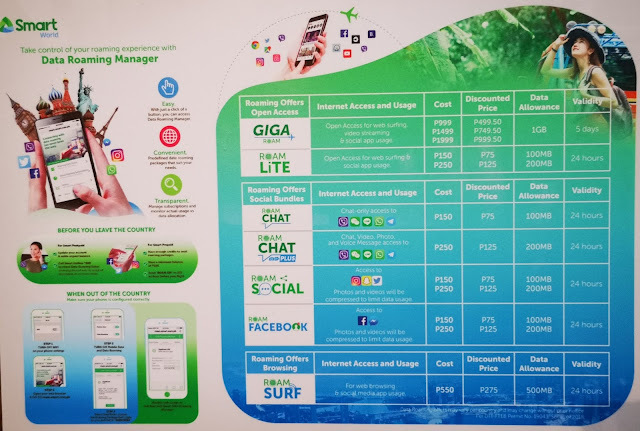 “That’s why aside from giving the best airline promos and hotel discounts, the Smart World Travel Sale Fair also offers 50 percent discount on new and improved Smart data roaming products so you can enjoy a more convenient and worry-free getaways in over 153 destinations,” she added. When you roam with Smart, you have all the travel information you need at your fingertips. You can also hail a cab using an app, book flights and hotels on the go, track your trip or map out your destinations, translate foreign words in a snap, and, most importantly, share all your travel experiences with loved ones in real time on Facebook, Instagram, and Snapchat and via top messaging apps. Smart customers can easily purchase and monitor their data roaming activities while traveling with Smart’s Data Roaming Manager, a one-stop portal that features all available data roaming products as well as keeps track of data roaming usage while on the go. 4. Select the Data Roaming Package that’s right for you and CLICK “SUBSCRIBE”. With just a simple click, the portal allows you to conveniently subscribe to Smart’s suite of new and improved data roaming products – from the data-packed GigaRoam, which offers 1GB data roaming valid for 5 days for as low as Php999, to the no-frills Roam Lite, which offers light web surfing and social media apps access valid for 24 hours for as low as Php150. Data packs are also available for social media use and browsing, starting at P150, valid for 24 hours. 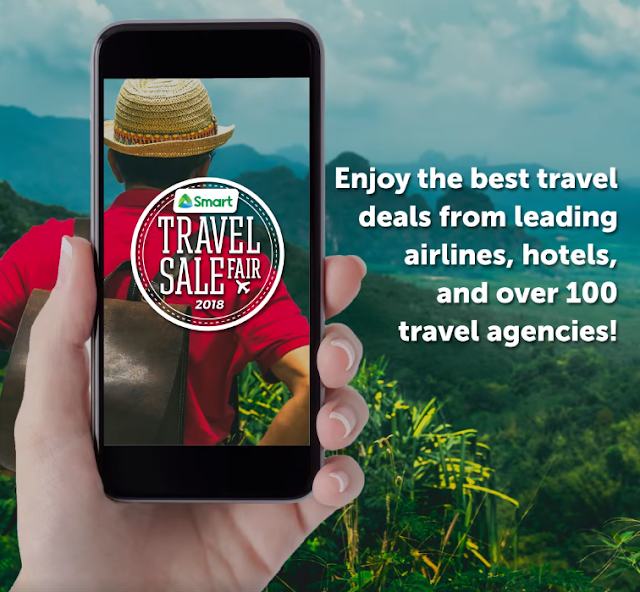 To find out how you can catch exciting deals at the Smart Travel Sale Fair, check out Smart’s official Facebook, Twitter and Instagram pages for updates. You can also follow #RoamWithSmart for updates and visit smart.com.ph/Roaming or more details on how to make the most of Smart’s data roaming offers.